In today’s video, we’re taking a look at different pedal combinations that will serve up the iconic sounds of the legendary Radiohead. Take a look at some of our previous Nailing It and Potent Pairings videos for more pointers on how to sound like the all-time greats. Few bands in the past thirty years have a resume as eclectic as Radiohead. When you’re talking about a group who references the Pixies, Aphex Twin, and Alice Coltrane as influences, defining their sound in linear parameters is like telling water to stand in a cube. From the alt-rock schematics of early works like Pablo Honey to the electronic downshift of Kid A to the orchestral-like arrangements of this year’s A Moon Shaped Pool, the prime marker in the group’s aural history is that of constant change. 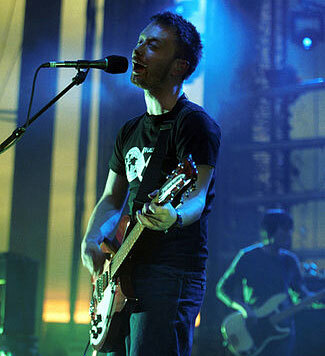 Radiohead’s taste for sonic aberration is matched with gusto by their taste for gear. It’s almost easier to list off what the band has never had their hands on than to pore through the litany of things that make noise they’ve employed in their decades-long career. Multiple sites exist archiving month and year-specific setups like giant digital tomes you could spend hours examining. When you’re talking about tone-chasing, nailing Radiohead’s signature sounds isn’t so much going from point A to B as it is winding through a labyrinth you’re never really meant to leave. So rather than sitting in your room trying to figure out how to make your guitar sound like an Ondes Martenot until you’re blue in the face, we’ve crafted a nifty little guide to combining readily-available modern effects to capture all the umbrous, otherworldly sounds of Thom & Co. We’re running through the rigs of Thom Yorke, Jonny Greenwood, and Ed O’Brien to lay a foundation for what makes them tick, and then listing out the pedals we hand-picked to best emulate their sounds. Let’s get started. 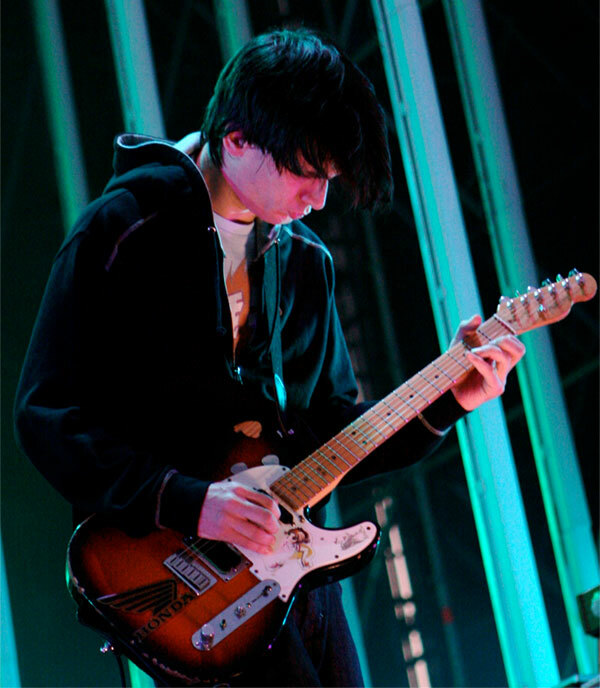 Jonny Greenwood holds a lot of titles: guitarist, multi-instrumentalist, composer-in-residence at the BBC. He’s a renaissance man in the truest sense, but he’s best known as one of alt-rock’s favorite guitarists. Jonny’s core rig consists of a Fender Telecaster Plus with a single Blue Lace Sensor pickup in the neck and dual Red Lace pickups as a humbucker in the bridge. Among his army of guitars, the Tele is his preferred piece along with an original Fender Starcaster. In addition, Greenwood plays both into a Vox AC-30 and Fender Deluxe 85 combos. 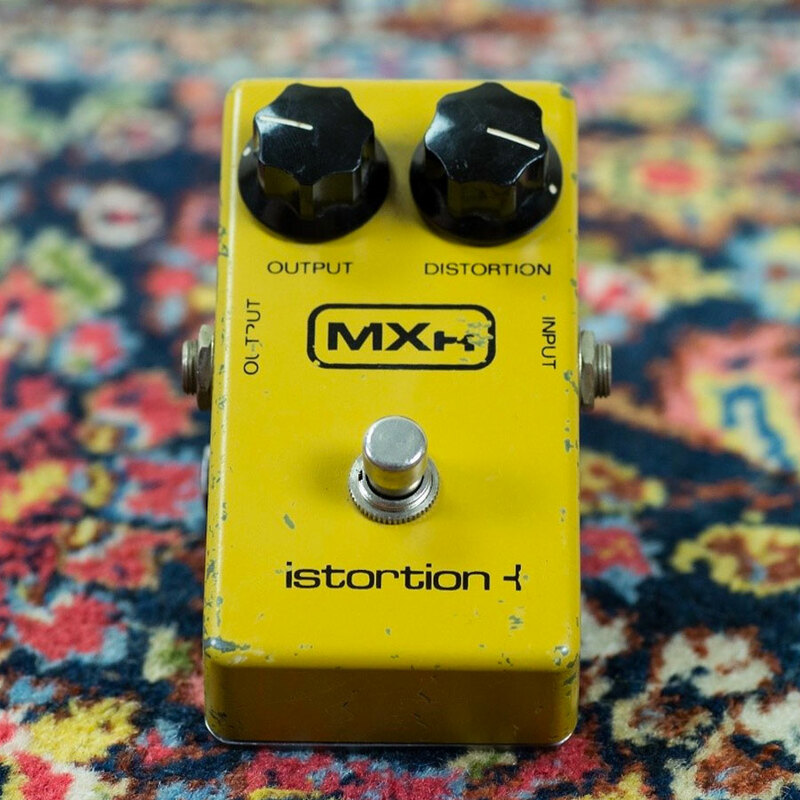 In between the strings and speakers is an ever-changing cast of pedals with a few notable staples as permanent players. 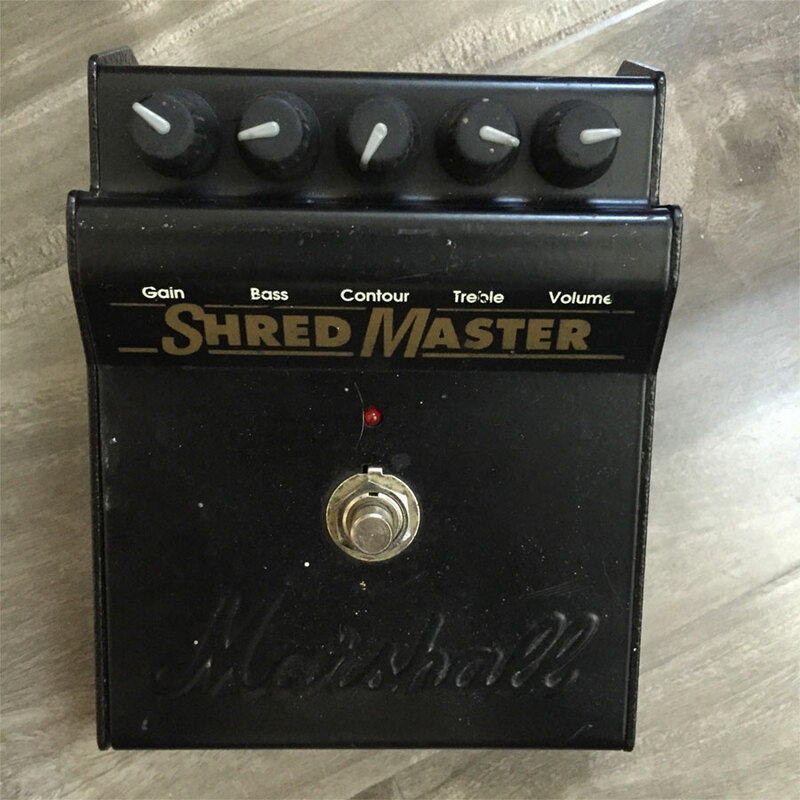 Greenwood’s chain begins with the gain-y roar of his Marshall Shredmaster, a signature pedal in his roster. 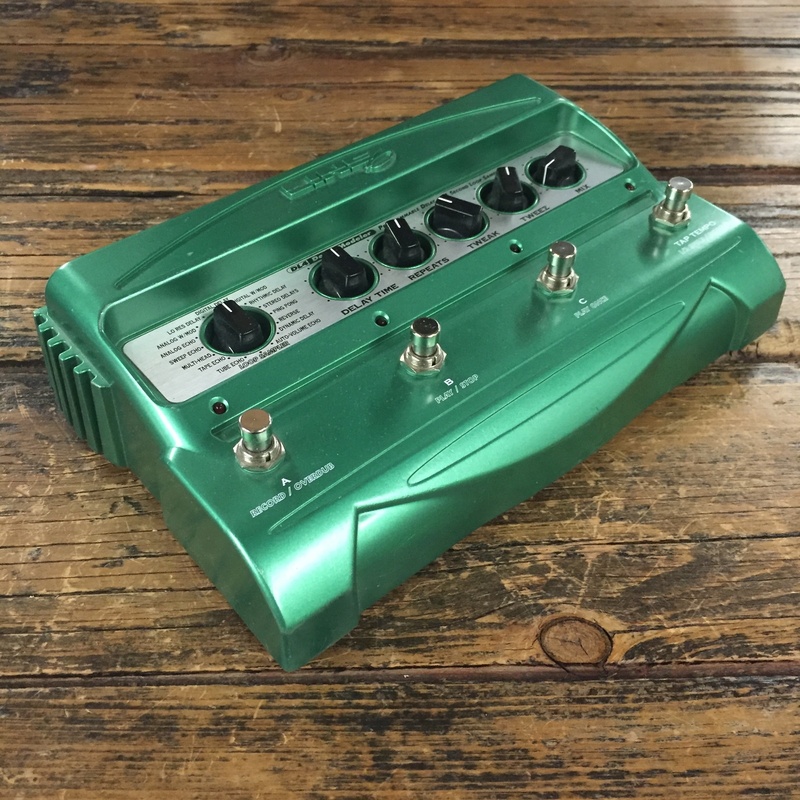 Further along are favorites like the Boss RV-3 Reverb/Delay, SD-1 Super Overdrive, LS-2 Line Selector for toggling between amps, DigiTech WH-1 Whammy and a Roland RE-201 Space Echo. 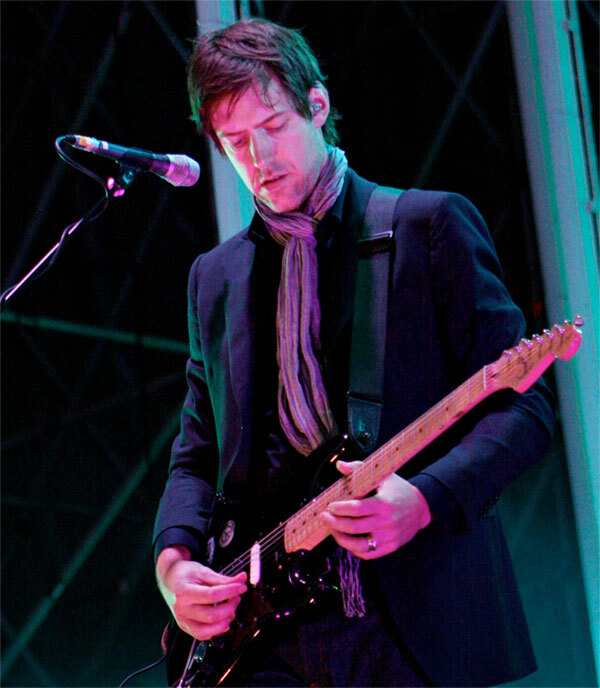 Whereas Greenwood creates the signature riffs of Radiohead, Ed O’Brien creates the world for them to exist in. An immensely versatile guitarist, O’Brien’s gamut of gear reads like a wishlist of everything a guitarist would ever want to play. Most recently spotted playing a Fender Eric Clapton Signature Stratocaster, O’Brien’s been seen playing everything from a Rickenbacker 360 to a Les Paul goldtop to a Plank ED1 custom guitar. Equally as eclectic as his choice of guitar is the amp it’s plugged into. Favoring a Fender Super-Sonic 112 combo as of late, O’Brien’s also played Vibro-Kings, Marshall stacks, and even Mesa Boogie amps in past years. The assembly is rounded out with a veritable kingdom of effects at the guitarist’s beck and call. 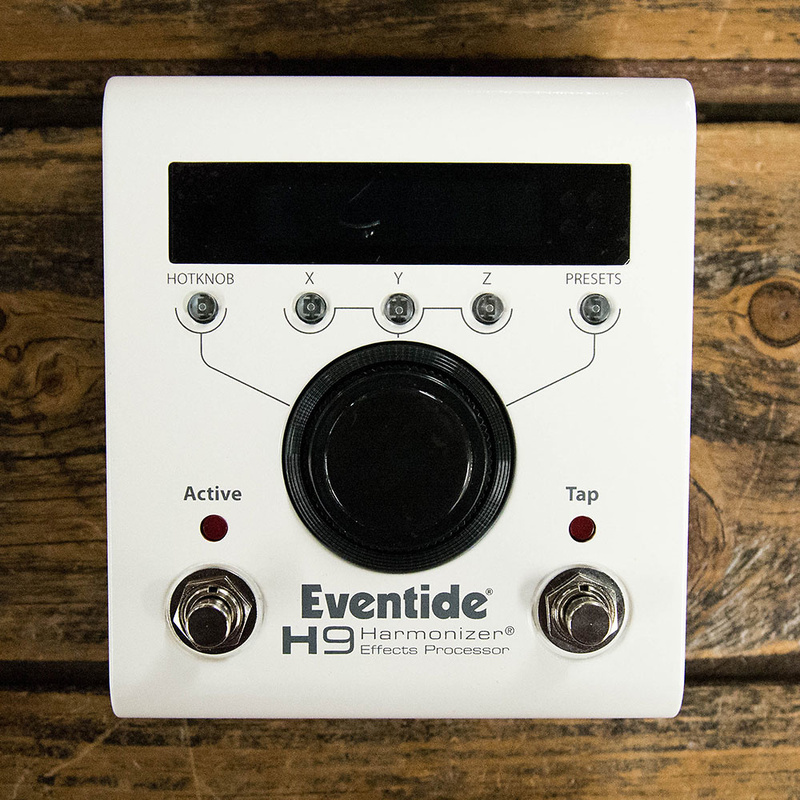 Standing in his core troupe are experimental effects like the Eventide H9, Strymon TimeLine delay and Electro-Harmonix HOG guitar synthesizer. 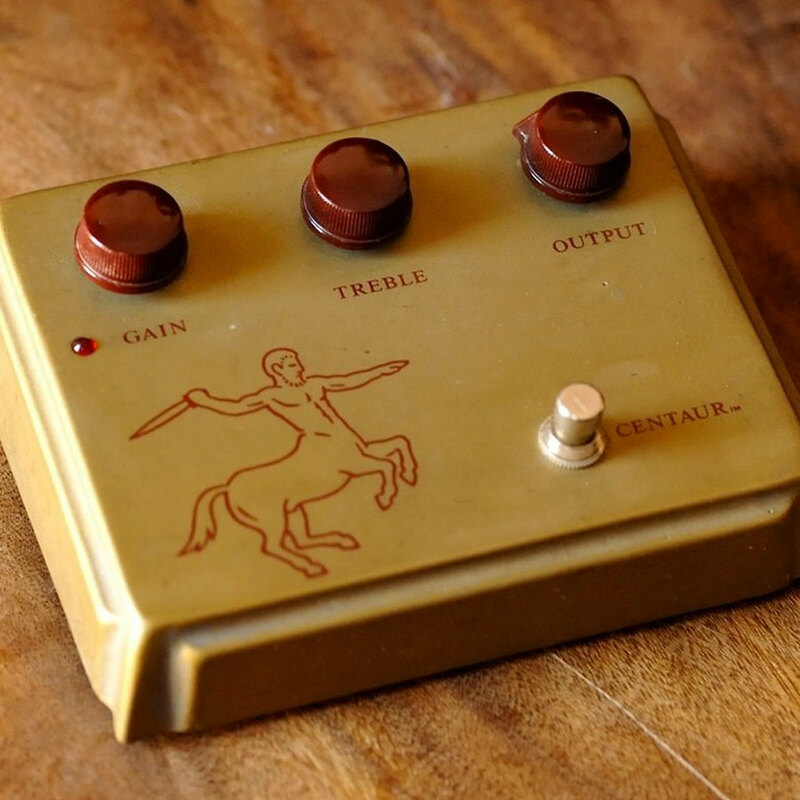 For the muscle in his setup, O’Brien’s been known to favor the Crowther Hotcake Overdrive and Klon Centaur Professional Overdrive. Primarily known for his songwriting and vocal work, Thom Yorke also holds distinction as one of the more inventive contemporary singer/guitarists. Known for sporting a Fender Silverface Twin Reverb during Pablo Honey which was eventually stolen with the rest of Radiohead’s gear, Yorke’s most recently been known to use a ‘60s JMI Vox AC30/6 in classic Fawn. Complementing the Vox is a wide variety of guitars ranging from a Gibson ES-125T and ES-330 to an Epiphone Casino and various iterations of an SG used since the early ‘90s. 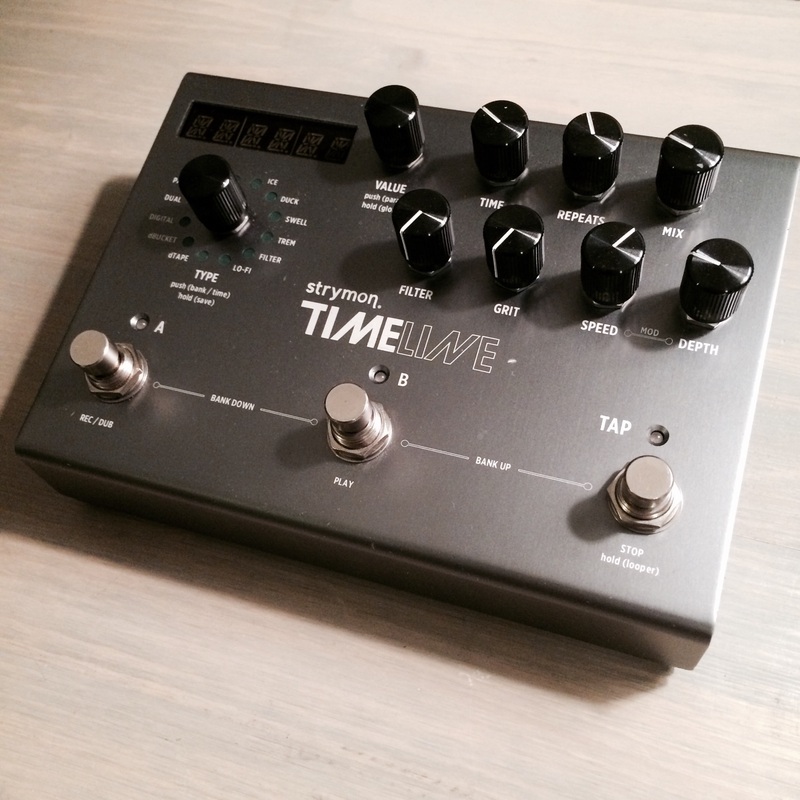 Though better known for his array of vocal effects, Yorke also incorporates a number of effects when playing guitar. 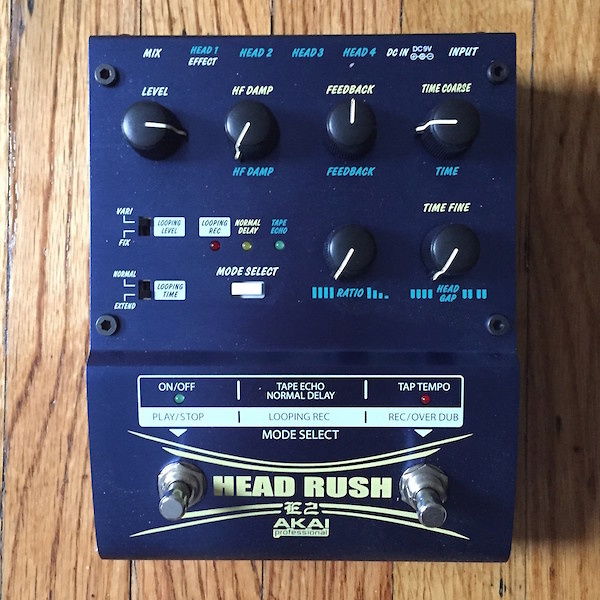 Familiar entries from Greenwood and O’Brien’s rigs are present here such as the Crowther Hotcake and Electro-Harmonix HOG, but the frontman also incorporates unique elements such as a Line 6 DL4, Akai Professional E2 HeadRush Delay/Looper, and MXR M-104 Distortion +. 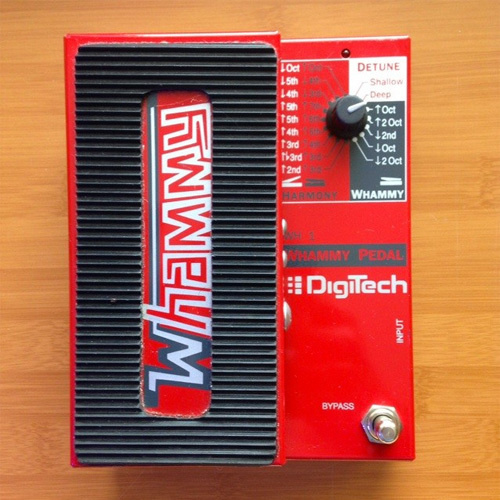 Take a look below for a break down of the pedals used in the Potent Pairings video featured at the top of the page. 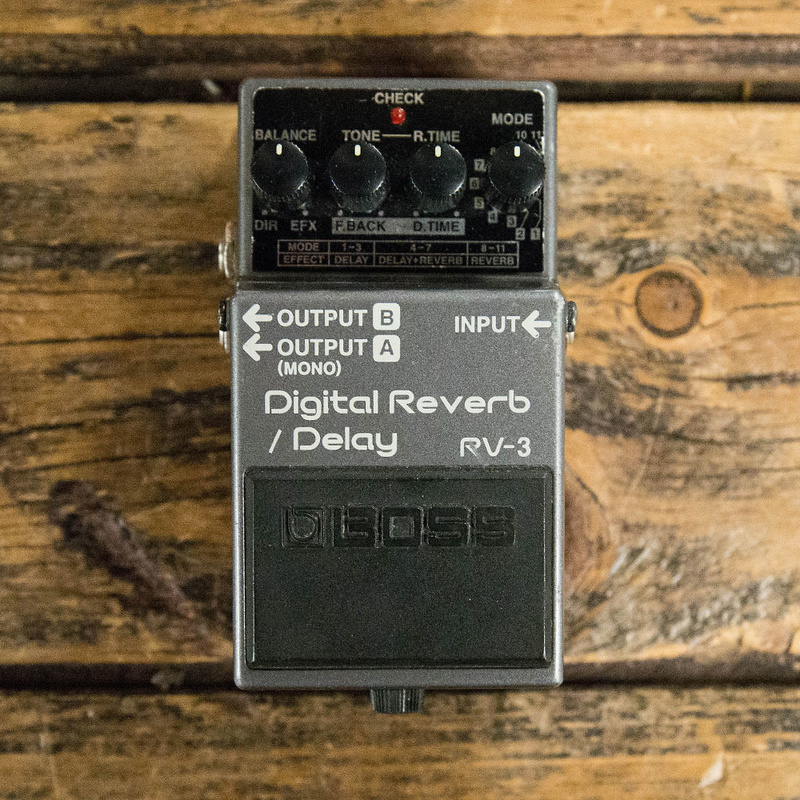 While these aren't necessarily the pedals used by the band, they will help you achieve those unmistakable Radiohead tones.